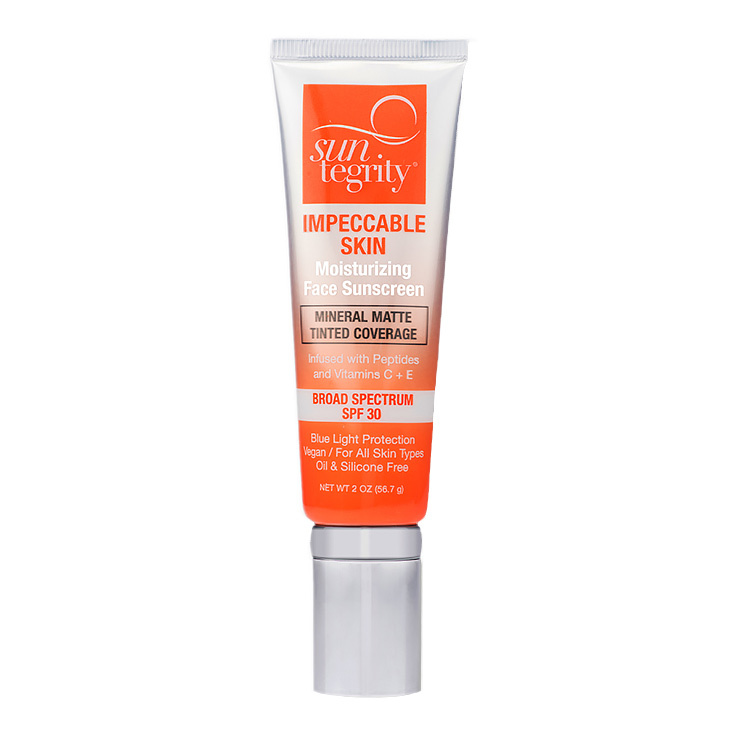 Suntegrity Skincare Impeccable Skin Broad Spectrum SPF 30 combines multi-tasking skincare with color correction and UV protection in one super versatile product. More than a simple foundation with sunscreen, this beauty offers the benefits of beauty boosting skincare ingredients for a refined, youthful appearance. Peptides visibly reduce signs of aging and make skin look silky smooth, while hyaluronic acid lends essential moisture for a plumped, perky appearance. Non-nano zinc provides broad spectrum UV protection to further diminish the look of sun damage. 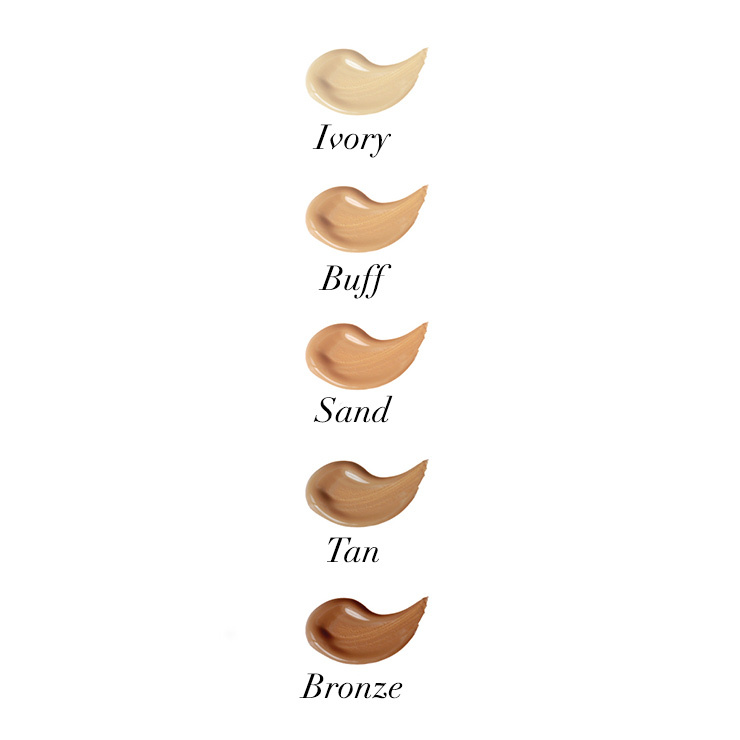 Available in five natural looking hues for a flawless appearance. Dot onto the forehead, nose, cheeks, and chin and blend onto skin completely with makeup brush, sponge, or fingertips. Next, dot onto neck and décolleté and blend. May set with powder if desired. Use daily to protect against UV damage and create a flawless appearance. 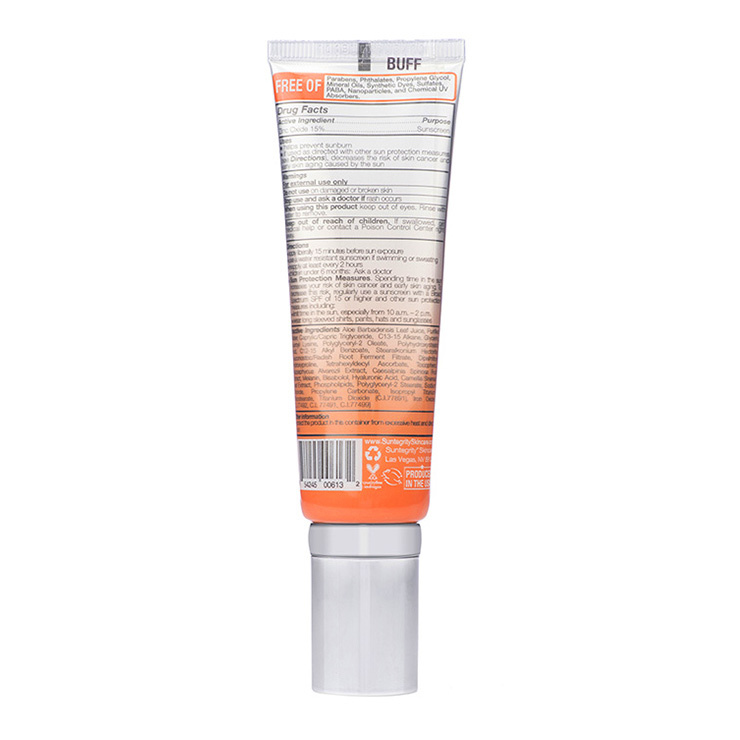 Active Ingredients: 15% Zinc-Oxide (Non-Nano) Inactive Ingredients: Aloe Barbadensis Leaf Juice, Purified Water, Caprylic/Capric Triglyceride, C13-15 Alkane, Glycerin, Lauroyl Lysine, Polyglyceryl-2 Oleate, Polyhydroxystearic Acid, C12-15 Alkyl Benzoate, Stearalkonium Hectorite, Leuconostoc/Radish Root Ferment Filtrate, Dipalmitoyl Hydroxyproline, Tetrahexyldecyl Ascorbate, Tocopherol, Kappaphycus Alvarezii Extract, Caesalpinia Spinosa Fruit Extract, Melanin, Bisabolol, Hyaluronic Acid, Camellia Sinensis Leaf Extract, Phospholipids, Polyglyceryl-2 Stearate, Sodium Chloride, Propylene Carbonate, Isopropyl Titanium Triisostearate, Titanium Dioxide (C.I.77891), Iron Oxides (C.I.77492, C.I. 77491, C.I.77499).